The Methow Valley is undeniably a quiet, out-of-the-way place, but that doesn’t keep musicians from as far away as Hong Kong and London from coming here to perform in the Methow Valley Chamber Music Festival. The international line-up in this year’s festival includes first-time and returning performers. Long-time Festival violinist Jing Wang, now the concertmaster of the Hong Kong Philharmonic Orchestra, loves playing in the Methow and made it a point to fit the Festival into his schedule. “We try to bring the best-quality musicians we can attract, given our resources,” said Howard Johnson, a member of the Festival board. Johnson said the Festival has earned a reputation as a place where musicians get to play challenging music with other high-caliber performers, making it very attractive. “We get requests from all over the world,” he said. Wang has been on an impressive trajectory since he started playing violin at age 3—he performed his first concert three years later and was a featured soloist in a concerto at age 9. 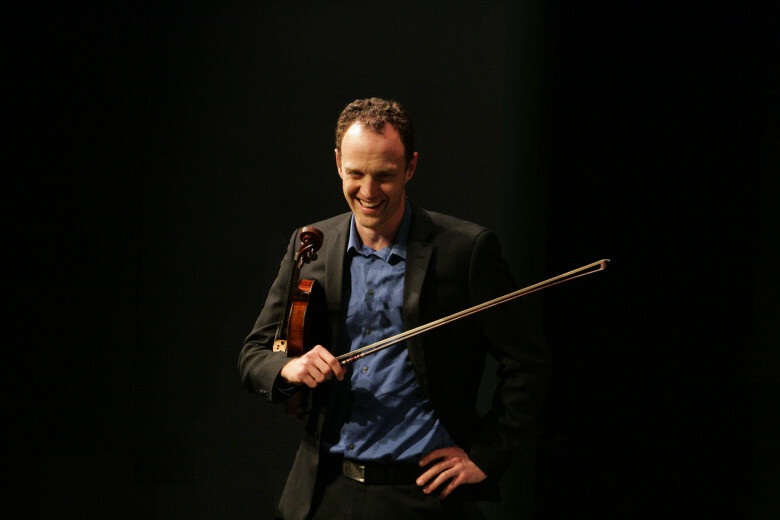 He has since won numerous prizes and was concertmaster with the Dallas Opera before heading to Hong Kong. As Hong Kong concertmaster, Wang had the honor of playing a Stradivarius to demonstrate its value for an upcoming auction. The instrument was recently returned to the music scene after 25 years in a closet. A first-time performer at the Festival is Chinese pianist Zhang Zuo, who is taking a break from a two-year residency with the BBC’s New Generation Artists program in England to perform here. 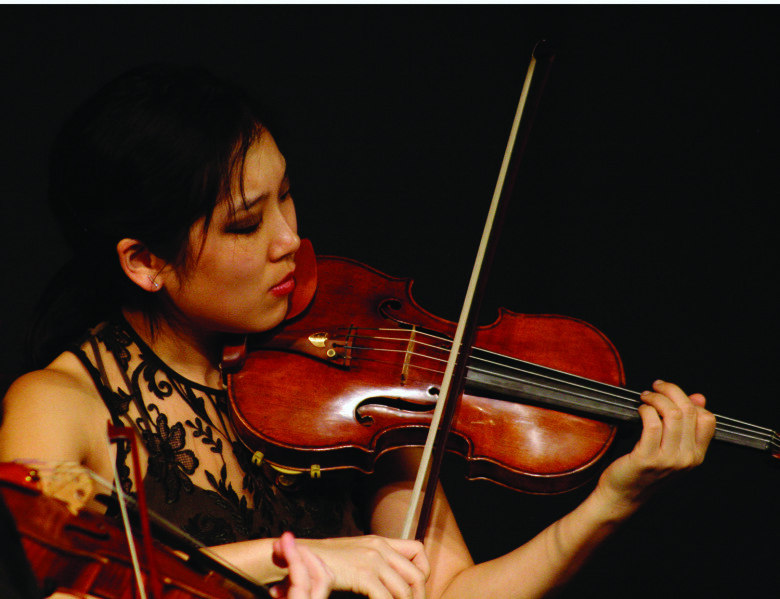 Zhang Zuo (called Zee Zee) has been hailed for playing that is “bright, expressive and moving to the extreme” and as “a powerful, passionate and compelling representation of pure artistry.” She has won numerous competitions in the U.S. and China, and has performed with orchestras around the world, including the BBC Symphony, the London Philharmonic, and the Los Angeles Philharmonic. Also new to the Festival is pianist Tom Poster, who is coming to the Methow from London. Called “a musician’s musician” with an “unerring sense” for musical interpretation, Poster is noted for his versatility in a broad range of musical styles, from symphonic works to chamber music to TV soundtracks. Poster has composed an opera and a movie soundtrack, and is an arranger of music by George Gershwin and Cole Porter. The four international musicians join 15 other players, many returning from their own national and international tours. This year’s line-up includes virtuosos on violin, viola, cello, piano, and French horn. The five Centerstage concerts feature music by Dvorák, Shostakovich, Stravinsky, Fauré, and Mozart, plus a suite of American popular songs. August 2, 4, and 6. INFORMATION/CONTACT: Tickets, along with information on the musicians and program, are available online at www.methowmusicfestival.org.